Atelier Nash is proud to exclusively present Richard Brendon to the New Zealand retail, hospitality and fine wine marketplace. Along with designing collections for Harrods, Gleneagles and Fortnum & Mason among others, Richard has ingeniously partnered with the world’s most respected, celebrated and revered wine critic and journalist Jancis Robinson, OBE and Master of Wine. Pairing wine expertise and refined design, The Jancis Robinson Collection is the result of a truly collaborative cross-disciplinary partnership between Richard and Jancis. 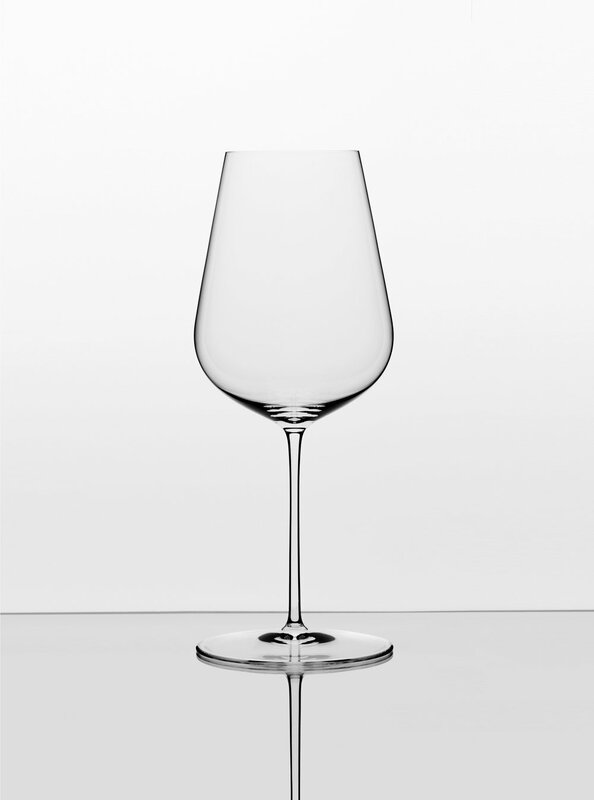 The Wine Glass is at the heart of the collection and has been specifically designed to offer the best tasting experience for every wine, whatever its colour, style or strength, including Champagne, port, sherry and beyond. The stemmed glass is joined by a stemless Water Glass and two decanters, each of which has been mouth-blown by master craftspeople in Bohemia using beautifully bright lead-free glass. The only stemmed glass you will need to enjoy every wine at its best. Use this glass for every wine, whatever its colour, including sparkling wine, port, sherry, sweet wines and anything else you want to savour and enjoy to the fullest. This shape has been specially designed to maximise your enjoyment of all wines’ aromas, flavours and textures in the most practical way possible. The long neck allows for a strong grip which will allow you to swirl the wine energetically, allowing oxygen to encourage and hasten a young wine’s evolution and mellow the flavours. The bowl is also large enough to accommodate a magnum. This bottle-shaped decanter allows you to decant a mature wine off its sediment while ensuring that it is not exposed to too much harmful oxygen. The refined shape follows the form of the Wine Glass and the beautiful mouth-blown stopper adds an element of contemporary design to your table. It is always wise to drink water with your wine, and this stemless glass fits perfectly en suite with the Wine Glass to create a beautiful table setting. This tumbler is exactly the same shape as the Wine Glass, so if you do choose to use this stemless version as your wine glass you will still have the benefits of the perfect generous tulip shape. This is the bottle-shaped Old Wine Decanter without the stopper, an understated and versatile water carafe which follows the form of the Wine Glass and the Water Glass to create a beautiful and refined suite. It also fits in the fridge door, keeping your water, or white wine, perfectly chilled. Dishwasher Safe - Everyday glasses require simple cleaning solutions, so the Wine Glass has been designed to fit any standard dishwasher and its sturdy stem minimises the likelihood of breakages. Not only is the Jancis Robinson collection dishwasher safe, we actually recommend that you wash the wine and water glass in this way. They have both been designed to fit easily into domestic and commercial machines. Perfect Pour – a 125ml pour comes to the widest point of the bowl, maximising the release of the all-important aromas. Finest Crystal – The glasses are very light, perfectly balanced and of a quality that can only be achieved by mouth blowing. The rim of the wine glass is particularly fine to minimise the amount of glass that comes between the wine and the palate, significantly enhancing the drinking experience.